today: blazers, basics and my giveaway winner! i don’t think i could ever get bored of white, grey and red as an outfit combination. it’s so simple, but i completely love it. 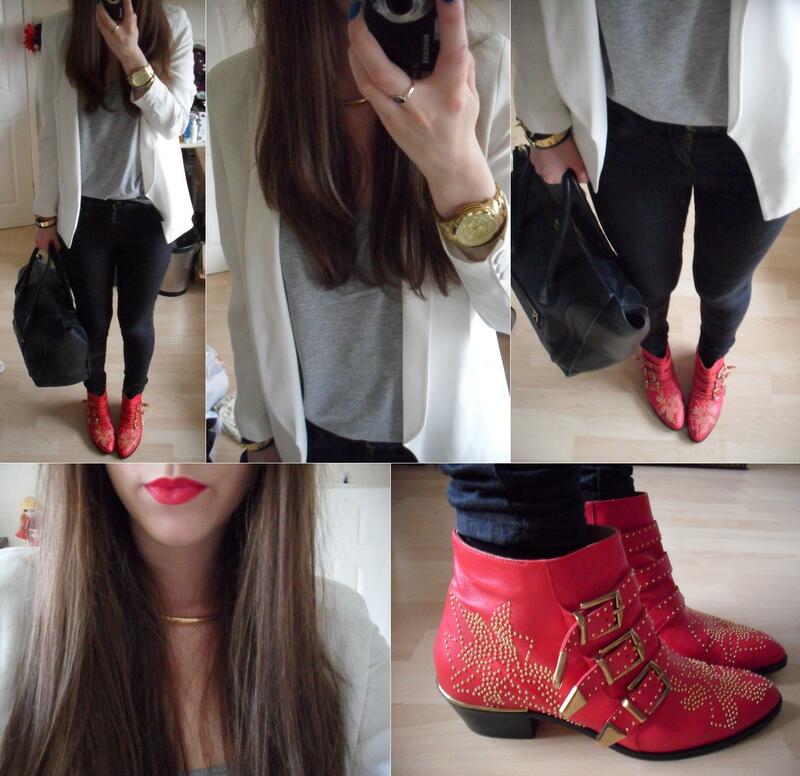 i’m still having an affair with MAC red lipstick, so the boots were a must to match. kind of wish i had wore a belt with gold in the middle though, just to balance things out more. anywaaays, as usual i wore this to go to the boy’s house to start on the next season of 24. jack bauer, you guys. love that man, even if kiefer sutherland’s face looks like it’s made out of plastic. super short post as i’m off to go and look after my niece and nephew until my sister comes back from work. fingers crossed they’re in a good mood and decide to behave, i don’t think my ears could handle a tantrum right now. i retired the bunny ears case to adopt some kitty ears, genuinely don’t think it’s possible i’ll have a normal iphone case ever again. 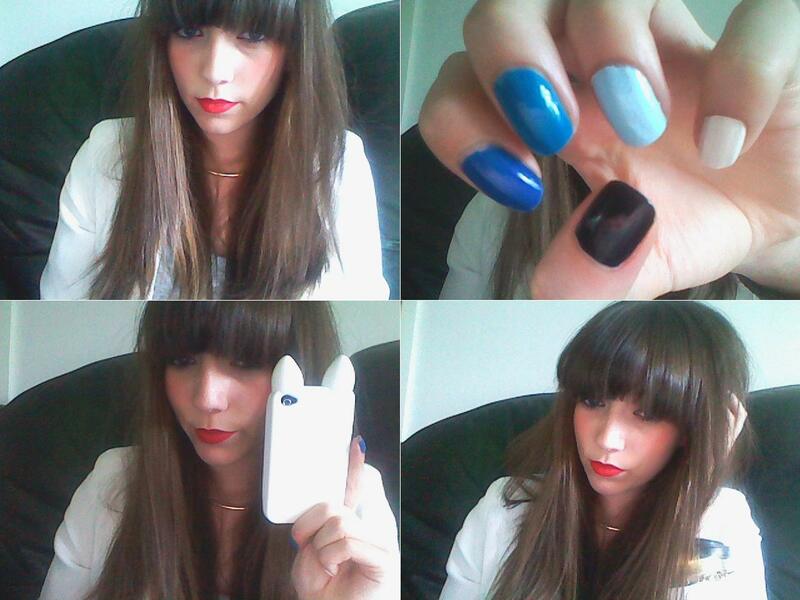 the only girly side of me is my love for anything cute, so a cat in the form of an iphone case will always be a winner. for my nails i decided on a different alternative to the standard ombre. the polishes are topshop, barry m and nails inc. i think i’d quite like to try it with peachy/pinky tones too. i’ve chipped it now, so if you’ve got any nail art suggestions, send them my way! on to the giveaway and the winner is… stephanie nadine from stephanie wears… congrats, i’ve sent you an email! thanks to everyone who has participated! i’ll be doing another giveaway when i get to 500 followers (i’m only 31 followers away now) so keep following on GFC/bloglovin’/twitter for that! and thank you as always for following, it really means so much to me and i genuinely mean that!